1500 Ocean Drive is in the heart of South Beach so you will be able to enjoy the beautiful beaches outside of where you live. Your residential location positions you in the spot of the very popular Ocean Drive, which means you will be able to take walks and enjoy the many popular shops, clubs, bars and restaurants that reside on this busy street. 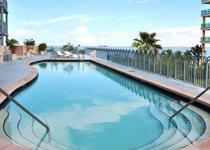 You will also be just a short walk away from the seashore of Miami Beach and a short drive from South Pointe Park. The first condominium on Miami Beach to engage the design capabilities of a renowned architect of world stature, 1500 Ocean Drive owes its signature profile and detail to the celebrated Michael Graves. Graves has managed to create a remarkable harmony of exterior design and interior features that speak of beauty, luxury and ease. Rising 14 stories from the fabled sands of Miami Beach, the 1500 Ocean Drive offers 1, 2, and 3-bedroom condos. With units between 940 to 2,320 square feet, all the condos have stunning ocean views and spacious terraces accessed by floor-to-ceiling sliding glass doors. Full-time concierge and 24-hour valet parking included. 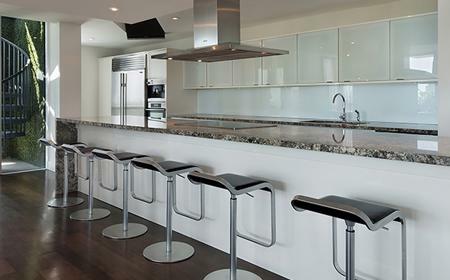 Kitchens feature designer cabinets with granite countertops, Sub-zero refrigerators and state-of-the-art appliances. Master baths feature whirlpool tubs, marble flooring, marble slab vanities, and a jacuzzi tub in every master room.